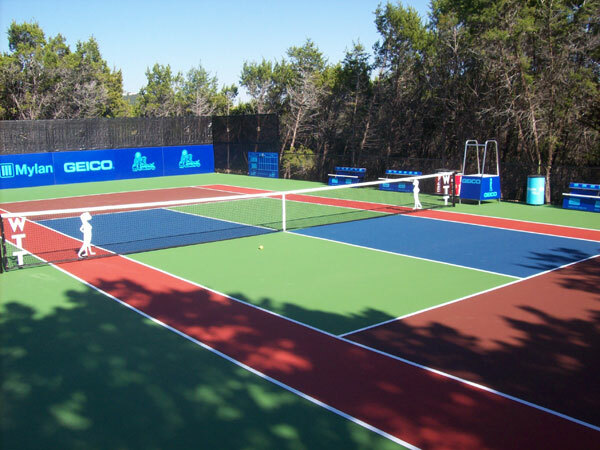 Court Building - Dobbs Tennis Courts, Inc.
A recent court build in Austin Texas. 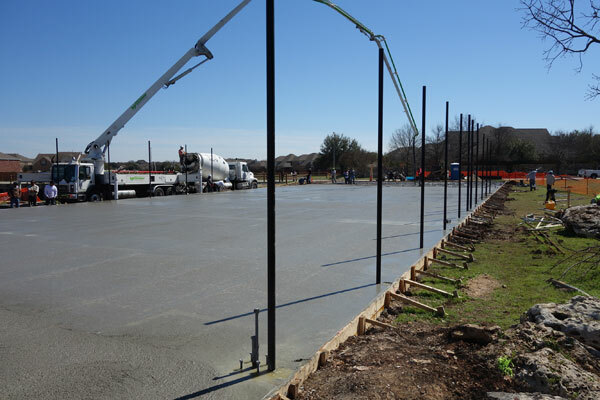 A recent two-court (end to end) concrete pour in North Austin, TX for tennis courts. The fence poles, net post sleeves, and light pole wiring are already added. Now, during the 28 days it takes the concrete to cure, the fence fabric can be installed. Although this is for tennis, we build basketball and picklball courts too!